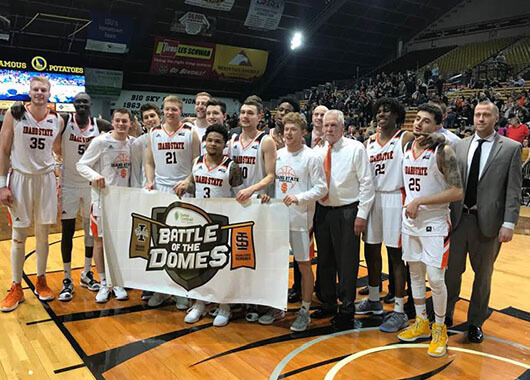 For the second year running, the Idaho State University Bengals pulled ahead to win the Idaho Central Battle of the Domes Championship! We want to extend our congratulations to both teams for a great series. We are already excited for next year! The Battle of the Domes series operates on a point system where each school can earn a maximum of sixty points per year based on head-to-head competition between the Bengals and Vandals. “We’re thrilled to be involved with these universities in the Battle of the Domes rivalry series,” said Idaho Central Credit Union CEO, Kent Oram.